Here's a fun quiz! 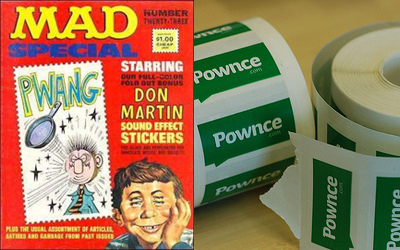 Below is a list of 16 web 2.0 websites mixed with 16 Don Martin sound effects from Mad Magazine. Can you identify which is which? Click to find out! A large debt of gratitude to The Don Martin Dictionary.